Message from hubby. Chalkboard from Fiona Kate. I’d like to paint the outside of my fridge with chalkboard paint. Wonder if that would work. 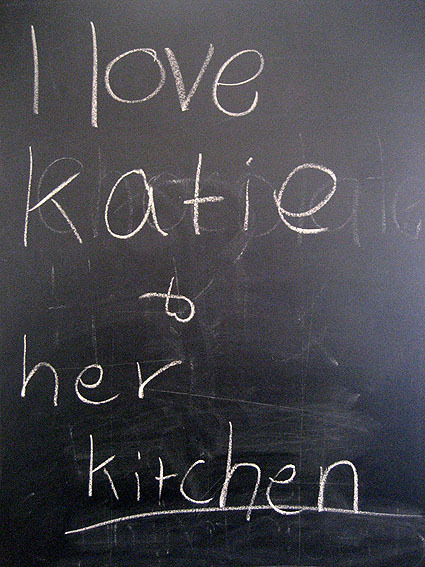 At the moment this chalkboard lives on the side of my fridge. I use it for shopping lists, menu planning, and random notes to my hubby. I’d better start working out how to present it as a great idea to my hubby! Glad you like the grannies, I haven’t touched the baby blanket since the July Brown Owls meeting. Too many projects, too little time.